RFID blocking wallets help insulate you from electronic pickpocketing called RFID Skimming. Many of today's credit cards, driver's licenses, and even passports come with embedded radio frequency identification chips, and some people have instruments that allow them to skim your wallet and pick up your information. An RFID wallet protects your cards from that happening. RFID, is a generic term for technologies that use radio waves to automatically identify people or objects. You don't want this information to get into the wrong hands, so protect your cards with an RFID wallet. 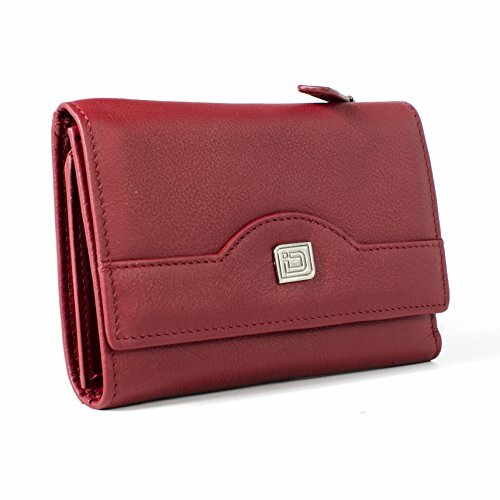 There are styles available for both men and women in a variety of colors, so you're sure to find the ideal wallet for all your needs. These make awesome gifts for any occasion, too! ​RFID chips are a widely used technology in credit cards, passports and ID cards around the world, including the United States, United Kingdom, Australia and most of the European Union countries and are only increasing in popularity. Unlike traditional credit cards or ID cards that require a strip to be swiped or a barcode to be read, items with this technology require only a short proximity to transmit financial and personal data wirelessly. This means that your sensitive information can be easily stolen by hackers and thieves using cheap digital readers. They can then create counterfeit cards to make unauthorized purchases or sell your information to other parties. 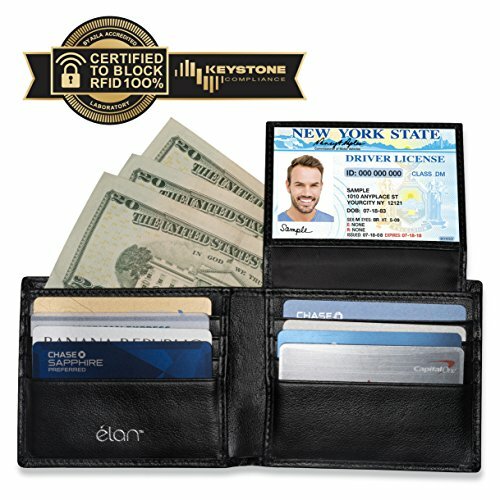 ​The proprietary shielding material in these RFID wallets will help to insulate you from electronic pick pocketing, thus providing the security and protection you desire. 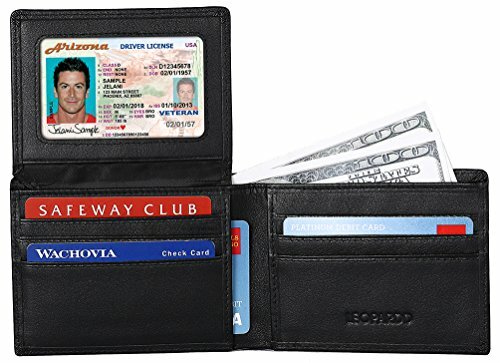 Now this wallet can protect your information without having the big bulge in your front/back pocket. It’s the time to throw away your old bulky wallet or purse. ​This design is unisex, and can be carried by both men and women. Prevent criminals from stealing your personal information with trusted RFID wallets. Men will appreciate the quality and functionality of these wallets, too. ​ It's always better to be safe than sorry! dentity Stronghold recognized the need for the protection of RFID chipped items in the early 2000’s and created a new industry in RFID shielding protection. However until recently, the press and major credit card companies have been slow to recognize the dangers associated with RFID chips used in commercial and private sectors. Examples of those would be items such as credit cards, debit cards, passports, drivers' licenses, hotel room keys, healthcare cards, ID cards, and transportation cards including most subway fare cards. You might be amazed at how easy it is to scan valuable information from people’s cards without even touching their cards. This crime has even garnered itself a new name. The crime is now often called electronic pickpocketing or e-pickpocketing for short. Identity Stronghold is the leading provider of RFID secure sleeves and badge holders to the U.S. government. Powerful internal structure, great size and good amount of compartments, 21 card slots(including 1 id window),3 full-length bill compartments,1 snap pocket and 1 zipper pocket​. 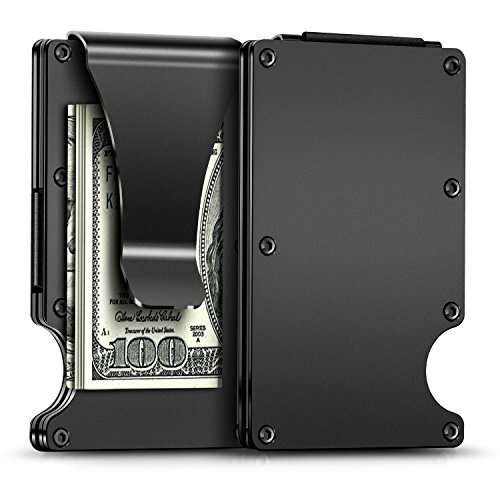 Can easily hold your money, credit cards and your iPhone, is enough for daily use, very convenient and practical. Delicate design and neatly stitched to ensure its longevity,Superb uniform sutures, even in the corner of the junction is still smooth and beautiful, fine workmanship and well made. Choose from 11 color options. Women will appreciate the style and quality of these RFID women's wallets. Find a design and color you love, and have peace of mind knowing your personal information is safe and secure. Just because the days are getting shorter doesn’t mean you can’t bring a little light into your life with this bright Vera Bradley colors and patterns! Find the perfect accessories to match your winter fashion this year, or search their collection for the perfect holiday gift! 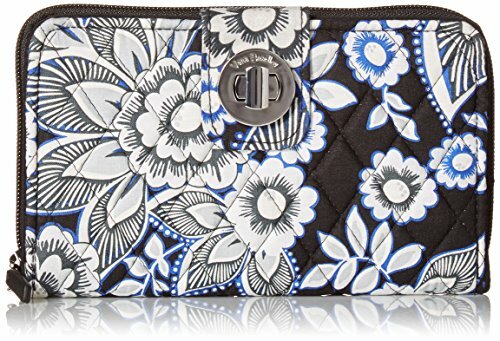 This genuine Vera Bradley RFID Turnlock Wallet will warm up your sense of style this season with the fun and considerate designs they are known for. These RFID Turnlock Wallet features all the card space you could want with a whooping 12 card slips with RFID protection, internal bill pocket, checkbook slip, secure turnlock on the front, and two ID windows to make flashing your pictures easy without removing your ID. Available in both Signature Cotton and Vera Vera Microfiber in a variety of patterns. 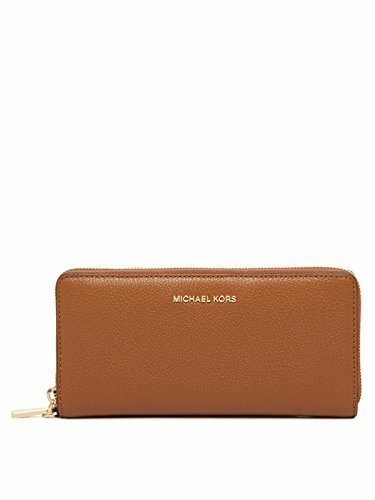 A luxe MICHAEL Michael Kors zip wallet with a wrist strap at the side. 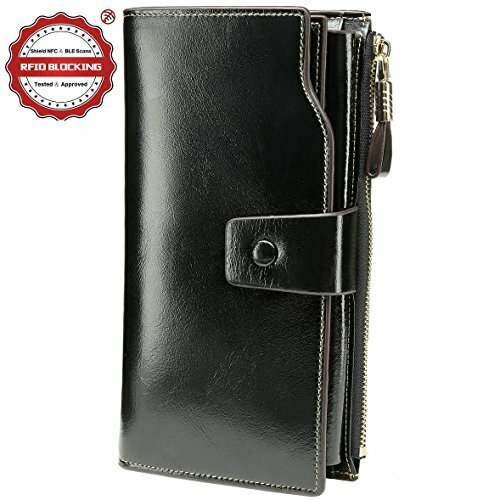 The interior has 16 card slots, 3, cash pockets, a zip compartment, and an ID window. Includes an RFID blocking lining that protects against identity theft. For those of you who appreciate designer style and quality, you'll love these designer RFID wallets. Find something below for men and women in a variety of colors and designs. ​ Remember those on your gift-giving lifts, as well.